For those who work in the CBD, are you on a constant lookout for cheap places to dine at during lunch? It is true that prices of food in the CBD are usually fixed slightly higher than elsewhere, but this does not mean that there aren’t hidden gems where you can enjoy delicious food without breaking the bank. 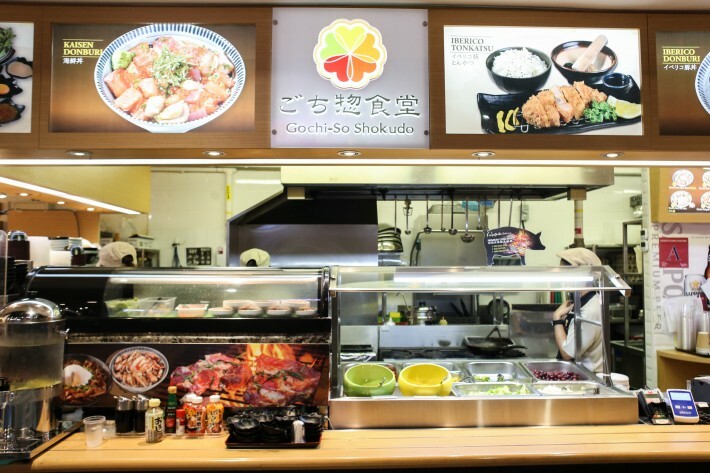 Let us introduce you to Gochi-So Shokudo, an under-the-radar eatery located at the corner of the basement of One Raffles Place that brings to you top-quality Iberico Pork all the way from Spain at affordable prices. Their Iberico Pork Belly Don will cost you just S$10; isn’t that a steal? 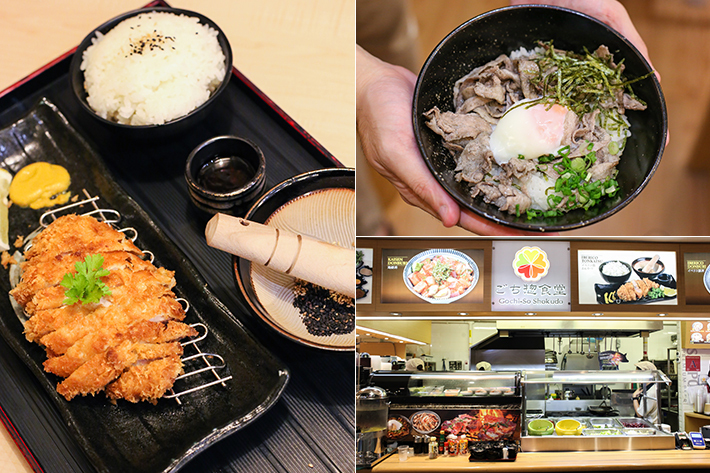 One of Gochi-So Shokudo’s most value-for-money menu options is the Iberico Pork Belly Don (S$10). If you are feeling slightly hungrier, you can upgrade your meal with side sets such as Set C (S$4) which will give you a plate of Iberico Belly Enoki and Iberico Miso Soup. 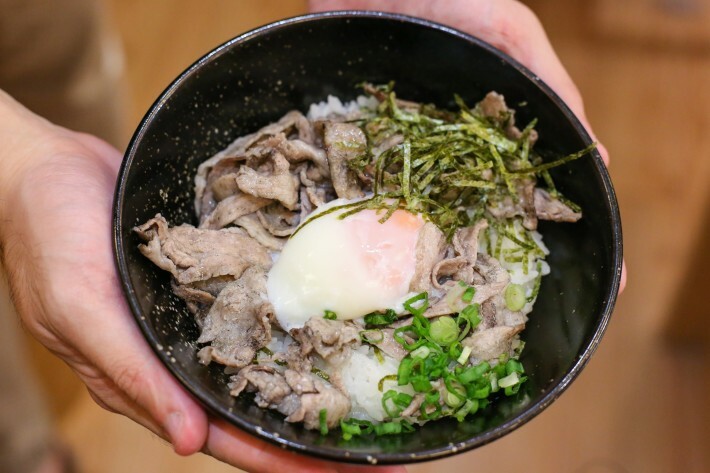 The Iberico Pork Belly Don (S$10) comes with a generous portion of thinly-sliced Iberico pork belly, an onsen egg, a handful of seaweed strips and spoonful of sliced spring onion atop a bowl of hot, fluffy rice. If you were to glance at the store front, you would notice that the Iberico pork belly will be grilled over a charcoal fire prior to service. The wonderful char-grilled taste was evident in every slice of meat and it further enhanced the taste of the pork belly. Elsewise, our onsen egg was executed perfectly and when broken, the egg yolk added a velvety texture over the whole don that was just so enjoyable. 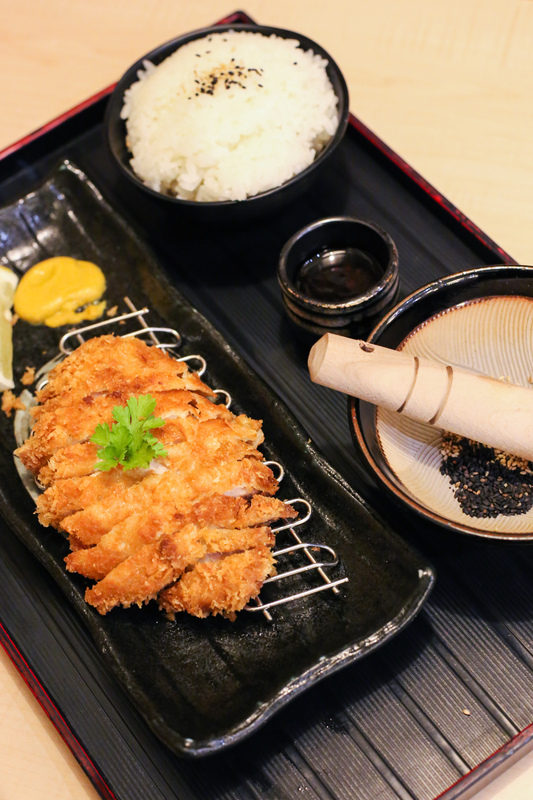 The Iberico Loin Katsu (S$15.80) comes with a deep-fried Iberico pork loin cutlet, fluffy bowl of rice, sesame seeds and their special dipping sauce. 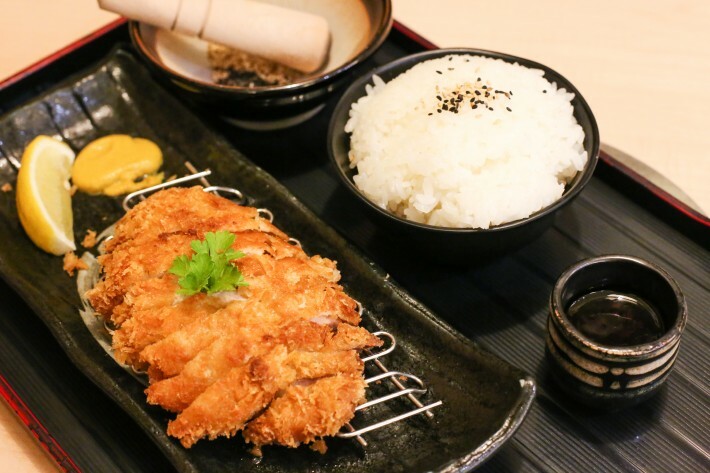 Admittedly, we were hoping for something more when we compared the price point of the Iberico Loin Katsu (S$15.80) to the Iberico Pork Belly Don (S$10). Although the skin of the Iberico pork loin cutlet was a lovely golden-brown, we found the meat of the cutlet slightly dry and lacking flavour.